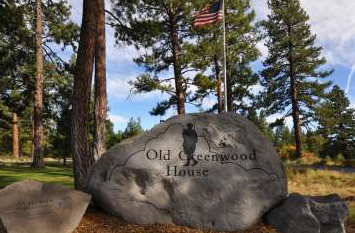 Old Greenwood is composed of several elegant Villas and luxury Fractional Residences. Nestled near the historic town of Truckee on 600 acres of towering pines and blue-sage covered hills. This community is also home to the premier 18-hole golf course designed by Jack Nicklaus. Here you’ll discover mountain living at its finest. Furthermore being a homeowner in this community includes a membership to the Tahoe Mountain Club. The Tahoe Mountain Club offers a premier amenity package: championship golf courses, tennis and fitness center, spa & swim facilities, dining at Lake Tahoe, ski-valet, and a private mid-mountain ski-in/ski-out restaurant at Northstar. Custom home prices are in the $1,200,000 to $4,000,000 range while luxury townhomes start in the mid $800,000’s. Also lots start at around $125,000, and go up from there for a spot on the golf course.